Although the FBI effectively shut down Nazi intelligence operations within the United States during World War II, our southern neighbors remained targets of Nazi spies, saboteurs, and smugglers throughout the war. Most of our southern neighbors were politically neutral as the war was not at their doors, but their policies tended to be anti-Nazi, providing the U.S. with various degrees of assistance against German threats to the Allied war effort. One of the exceptions was Argentina, which—as a result of its policies—distanced itself from the U.S. and drew itself closer, diplomatically, to Germany. This meant that Argentina was a hotbed of intrigue, and it proved to be a tougher environment for members of the FBI’s Special Intelligence Service (SIS), the U.S. intelligence component whose mission was to identify and counter Nazi operatives in South America. Although it obtained little official cooperation from Buenos Aires, the SIS was able to work with local officials, funneling them evidence that would result in the arrest of German operatives. To do this, the Bureau had assigned its first non-official cover agent to Buenos Aires in September 1940, and by mid-1942, agents had been assigned in an official liaison capacity to the U.S. Embassy and two consulates. By late 1943, at the height of SIS operations, the FBI had several agents operating as official liaisons as well as 37 agents working against the Nazis in undercover positions. These agents had their work cut out for them. 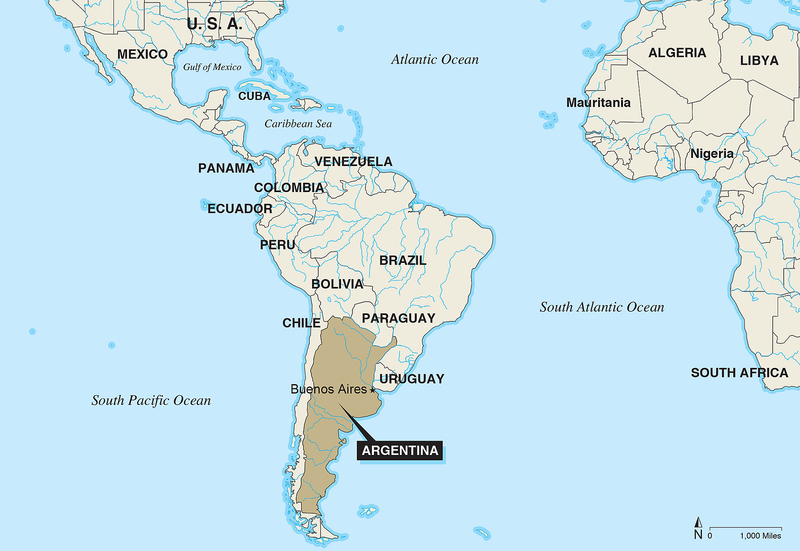 Although Buenos Aires was ostensibly neutral, U.S. Undersecretary of State Summer Welles had identified it—in 1942—as being a base for Axis espionage operations. The Nazis were using Argentina’s ambivalence to funnel their own intelligence agents into the Western Hemisphere, to enhance radio communications across South and Central America for its agents, and to smuggle strategic minerals back to Germany. The FBI needed to put a stop to all of these actions. SIS personnel faced many dangers as they were surveilled, harassed, and—in one instance—arrested. Smugglers were an even bigger concern. The Bureau wanted to ensure that the Nazi war machine did not have access to valuable commodities that would allow them to build higher-tech weapons. In one of our biggest successes, SIS agents learned that the German naval attaché in Argentina, Dietrich Niebuhr, was orchestrating the smuggling of strategic war materials through the British naval blockade. He and his operatives would buy mica, platinum, and industrial diamonds on the black market and use seamen aboard Portuguese and Spanish freighters to courier it back to German industries. FBI SIS agents surveilled these operations and collected a wealth of intelligence against Niebuhr’s smugglers that could be shared with local law enforcement willing to work with us. The intelligence also helped the U.S. to develop an extensive “List of Certain Blocked Nationals” (a predecessor to today’s U.S. Department of Commerce’s Entity List) that U.S. and British customs officials could use to disrupt Niebuhr’s smugglers in the Caribbean. And Niebuhr was eventually expelled from Argentina. SIS personnel faced many dangers as they were surveilled, harassed, and—in one instance—arrested. The arrested agent, though, maintained his discipline and did not divulge his true affiliation. He was eventually released and quickly sent out of the country, but his cover was compromised and he could not return to SIS service. The work of the SIS in Argentina came to an abrupt halt in 1944. As a result of the indiscretion of several hard-drinking SIS informants whose roles were uncovered, FBI Director J. Edgar Hoover—fearing that his agents could be compromised—quickly ordered all SIS personnel out of the country. Implementing a plan already in place, the agents left Argentina using a motor launch that the Bureau maintained on the Río de la Plata River, which borders Argentina and Uruguay. This escape path was known as “Crosby’s Navy”—after Francis Crosby, the FBI’s legal attaché at the U.S. Embassy in Buenos Aires and the head of the SIS contingent in Argentina. The potentially compromised agents were whisked down the river in the dark of night to Montevideo, Uruguay. Considering the dangers they had faced, the SIS did a remarkable job maintaining an Argentine presence, and its work hampered many Nazi plots over the war years. And as a result of its efforts, the Bureau—and the United States—gained significant experience operating in potentially hostile territory.